This audio adaptor lets you easily add high quality 16 bit, 44.1 kHz sample rate (CD quality) audio to your projects with Teensy 3.0, 3.1, 3.2, 3.5, 3.6. 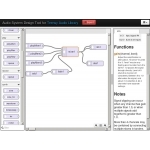 It supports stereo headphone and stereo line-level output, and also stereo line-level input or mono microphone input. 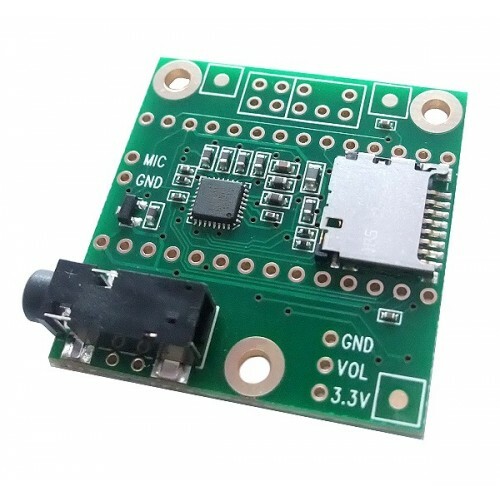 Teensy 3 boards have the Cortex-M4 DSP instructions which provide plenty of computational power for real-time FFT (spectrum analysis), opening up the possibility of creating advanced sound-reactive projects. Special extended male header pins are available to connect this board to a Teensy 3. 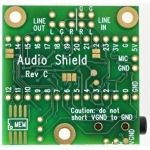 The audio chip, part number (SGTL5000), connects to Teensy using 7 signals. 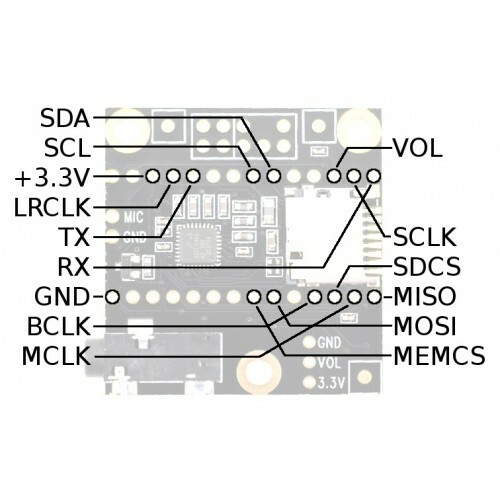 The I2C pins SDA and SCL are used to control the chip and adjust parameters. 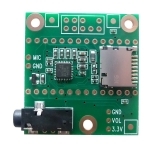 Audio data uses I2S signals, TX (to headphones and/or line out) and RX (from line in or mic), and 3 clocks, LRCLK (44.1 kHz), BCLK (1.41 MHz) and MCLK (11.29 MHz). 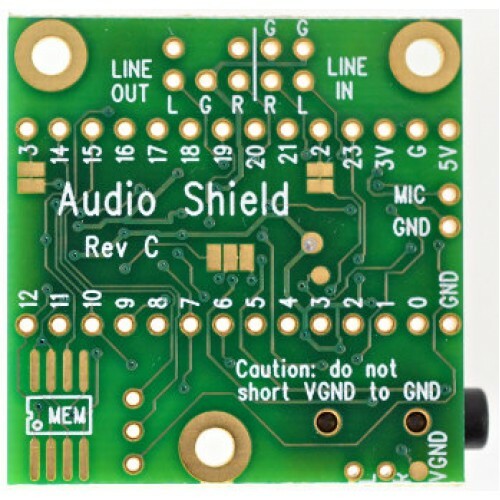 All 3 clocks are created by Teensy3. The SGTL5000 operates in "slave mode", where all its clock pins are inputs. An optional W25Q128FV flash memory chip (not populated) on the bottom side is also accessed using SPI, with the MEMCS pin to select the chip. 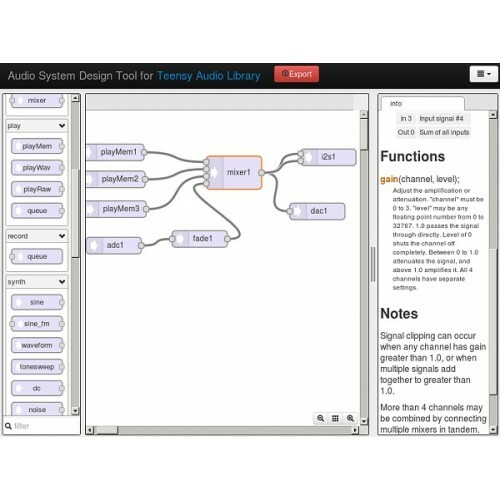 Future versions of the audio library may use this low latency flash memory for short audio clips or wavetable synthesis. Currently there is no software support for this chip.